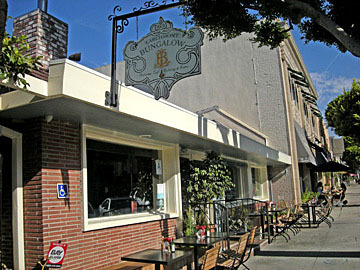 Random checks are underway at the Larchmont Bungalow, after L.A. Superior Court Judge Paul Suzuki placed the restaurant on a three-year probation last month. The owner of the restaurant pleaded no contest to fire code violations of overcrowded conditions and blocked exits. The court found Albert Mizrahi guilty, said deputy city attorney Serena Christion. He was also fined about $500. Meanwhile, trial proceedings in a criminal case of the Larchmont Bungalow vs. the city were set for Wed., June 19 in the East Los Angeles court house. Defense attorney Alan Fenster argues a covenant requiring Mizrahi not to have tables and chairs is discriminatory since other take-outs on the street have seating. After opening in 2009 Mizrahi was cited by the city for having tables and chairs at the licensed take out, and his certificate of occupancy was revoked.